Differentiate your unique ROI for today’s executive job search. 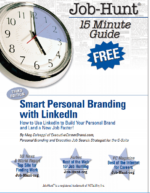 Personal branding has come a long way since Tom Peters ignited the business world nearly two decades ago with his personal branding manifesto on Fast Company, THE BRAND CALLED YOU. “You’re every bit as much a brand as Nike, Coke, Pepsi, or the Body Shop. To start thinking like your own favorite brand manager, ask yourself the same question the brand managers at Nike, Coke, Pepsi, or the Body Shop ask themselves: What is it that my product or service does that makes it different? Give yourself the traditional 15-words-or-less contest challenge. Take the time to write down your answer. And then take the time to read it. Several times. Your brand is your reputation – the perception of you held by the external world. 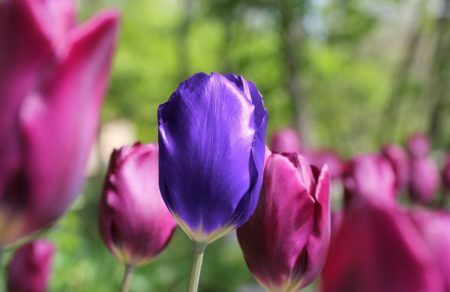 It is the combination of personal attributes, values, drivers, strengths, and passions you draw from that differentiates your unique promise of value from your peers. 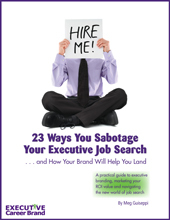 It helps those assessing you determine if they should hire you or do business with you. You need to identify those qualities and characteristics within you and communicate a crystal clear, consistent message across multiple channels– online and offline – designed to resonate with your target audience. In my experience, working with c-suite and senior-level executives, savvy job seekers now have at least some understanding of the value of personal branding, and are more willing than ever to do the work required to define what differentiates them from their competitors. They’re coming to understand that, in today’s executive job search environment − where so many of their competitors have done the targeting and branding work − they, too, have to leverage the new strategies, just to keep pace with their competitors’ ability to differentiate their great-fit qualities. Below you’ll find a basic worksheet to help you define your brand and what differentiates the value you offer. 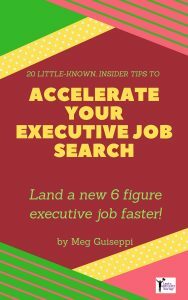 To do an even better job of this, use my Executive Job Search Worksheets Package, which includes a more refined Personal Branding Worksheet, along with the other 3 in depth worksheets I actually use with my clients, to write their LinkedIn profiles, executive resumes, biographies, cover letters, etc. Determine what kind of work you want to do (job position and industry), and which companies and organizations will afford you the opportunity to work your passion. Determine what hiring decision makers in that field are looking for when they’re assessing candidates. Research your target list of companies to learn what current challenges they’re facing that you’re uniquely qualified to help them overcome. Create your personal brand messaging around what keywords and content will attract them. Find out where those decision makers hang out, position yourself in front of them to capture their attention, and stay top-of-mind with them. As you complete this worksheet, always keep your target audience in mind. Determine the values, attributes, strengths, skill sets, and other qualifications you have, that align with what they will be looking for. 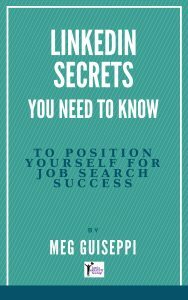 This will help lead you towards employers who are a mutual good fit, that is, those who will benefit the most from your expertise, while bringing you career fulfillment. 2. What are your vision and purpose? Look externally at the bigger picture of your vision for the world, and then internally at how you might help the world realize your vision. Think about one world problem you would like to see solved or one area of life that you want to see transformed or improved. This is your vision. What role might you play in making your vision happen? This is your purpose. Balance, being the best, agility, calmness, challenge, decisiveness, perseverance, drive, honesty, integrity, pragmatism, sensitivity, structure, teamwork, sharing, vitality, zeal. By determining your top values, you’ll be better equipped to choose employers whose values match yours. What do you most enjoy doing – in your personal life and work life? Think about the activities, interests, or conversational topics that fascinate and energize you. Your passions make you get out of bed at 6 a.m. on a Saturday morning, or get you talking enthusiastically with others. How do your passions converge with what you do best at work? 5. What are your top personal brand attributes? What words do you use to define your personality? What words do those around you (at work and elsewhere) use to describe you? Which personality traits define how you make things happen? 6. What are your core strengths? What are your 3 or 4 greatest strengths or top motivated skills (things you love doing) that have benefited your companies/employers? These are your “super powers” – the skills that position your value above your competition. In what functions and responsibilities do you excel? What gap would your company be faced with, if you left suddenly? For what things are you the designated “go-to” person? Again, think about what those around you say about you. How do they introduce you to others? Analyzing, collaborating, leading, delegating, empowering others, forecasting, crunching numbers, anticipating risk, mentoring, visioning, selling, innovating, managing conflict, defining needs, writing, listening, communicating. 7. Get feedback from those who know you best – at work, at home, anywhere. If you received meaningful performance reviews within the past few years, review them closely. 1. What do you feel are my top strengths and skills that most benefitted the company? 2. In what ways did I add value to the team and/or the company? 3. What was my most important contribution to the company? 4. What things did you know you could always rely on me to deliver? 5. In what ways did I help you do your job better and advance your career? 6. How would you describe my leadership style? 8. Do a SWOT analysis (Strengths – Weaknesses – Opportunities – Threats). SWOT is an invaluable personal branding exercise that also helps prepare you for interviewing, and future career growth and stability. We’ve already covered your strengths above. Weaknesses – What could you improve? What do you do badly? What should you avoid? Opportunities – Where are positive opportunities that face you? What are the interesting trends you are aware of? Threats – What obstacles do you face? Are the required specifications for your job, products, or services changing? Is changing technology threatening your position? Do you have bad debt or cash-flow problems? Could any of your weaknesses seriously threaten your opportunity? What do the people competing for the same jobs as you typically have to offer? What is it about you that makes you the best hiring choice? What added value do you bring to the table that no one else does? One good way to assess the competition is by searching on LinkedIn for members with the job titles you’re seeking. Check out their profiles and see what they have to offer. 10. Identify 3 words that best describe you. If you’ve done the work above, you’ve narrowed down your top personal attributes and core strengths, and have a handle on what differentiates you and makes you qualified to help your target employers. Now bring it all together and describe yourself in 3 words. I mean personal qualities, NOT job titles (Management Executive or Operations Leader). What 3 words reflect your personal brand (the value and good-fit qualities you offer your target employers)? Why did you choose those 3 words? Be prepared to devote time to this. The work involved in uncovering and defining your personal brand may seem daunting, but it will benefit you immeasurably, as you prepare for the job hunt. 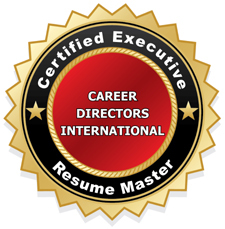 In the end, your efforts will be eye-opening and invigorating, and help you better communicate the unique value you offer your target employers in your career marketing collaterals (resume, biography, LinkedIn profile, cover letters, etc. ), and as you network and interview. Previous Post: « Executive Job Search: Blogging? What Am I Going To Write About? I have ignored my personal brand for far to long, I appreciate the actionable steps, it’s makes the whole process seem less intimidating. I’m going to share this with my colleagues on Facebook. I’m so glad my post is spurring you to action, to work on personal branding. It will help you differentiate the unique value you offer, over others. Many thanks for commenting, and for sharing my post. Very well written article, Meg! Many thanks for your kind comment, Cletus. Much appreciated! Thank you for commenting, Iole. I also find that my c-suite executive clients have a hard time transitioning from “we” to “me”, and zeroing in on their personal unique value. Reading through this article, it has a lot of insight to how to brand and market yourself. While branding and marketing yourself really helps make you standout amongst the rest of possible candidates ! Katelin, you’re right. 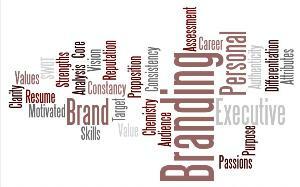 Personal branding is a method to help us differentiate and stand out among our peers and competitors. Thank you for commenting!